This tutorial will show you two methods to reset Android on your ALCATEL ONETOUCH Evolve 2. You will return your ALCATEL ONETOUCH Evolve 2 to it’s factory settings, removing any active lock pattern, lagging or errors your device might have. Before you start with the procedure, make sure the battery of your device is charged to at least 80%, to avoid any unwanted shut downs. Now you have to choose which of the two methods you will use to reset Android. Select Erase Everything and confirm. The process will start automatically and when your phone restarts it will be at it’s out of the box state. Make sure your ALCATEL ONETOUCH Evolve 2 is completely turned off. Press the Volume UP key and while keeping it pressed down, turn on the phone. When a menu on a black screen shows up, release the Volume Up key. Use the Volume Up key to navigate to the Recovery option, and use the Volume Down key to confirm this selection. Using the Volume Down key, navigate to the option Wipe data/Factory reset and press the Power key to select this option. Repeat the last step to select the option Yes – Delete all user data and the process will start automatically. The first menu will pop again, after the process is finished. 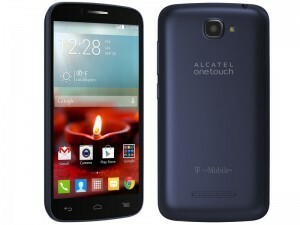 At this point you need to restart your ALCATEL ONETOUCH Evolve 2 to finish the whole procedure. That’s it! 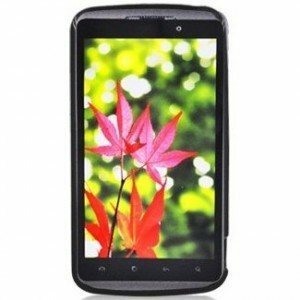 You have successfully reset Android on an ALCATEL ONETOUCH Evolve 2! I will teach you how to Reset Android Alcatel Idol S by two different methods, in order to restore your default settings in just minutes. If you still have access into the applications menu then the first reset Android method is ideal for you. 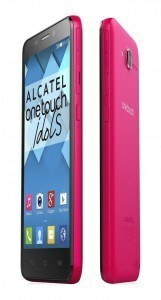 If your Alcatel Idol S has it’s Android operating system locked due to having an active pattern lock, which you do not remember, then use the second method in order to reset Android. Move with the volume buttons into “Wipe data / Factory reset” and press the POWER button to confirm. Once you restart the Alcatel Idol S you will be greeted with the welcome screen, just as if you just bought the phone. You’ve finished reset Android on the Alcatel Idol S.
In this tutorial we show two simple ways to return the Alcatel 960c into its factory state. If your Alcatel 960c still works and you have access into the applications menu , then the first reset Android method is available. However, if the Android operating system of your Alcatel 960c has a pattern lock enabled and you do not remember the password pattern, then the second method to reset Android will help you. In order to reset Android on your Alcatel 960c, you will only need access to Android applications menu and bring up the Settings menu. You must scroll down and tap into Privacy, then select Factory Data Reset and Reset phone. On the last screen you will see the “Delete all files on the external memory” option, which will allow you to format the Micro SD card along the reset Android process : This may be desired if you just want to sell or give away your Alcatel 960c and do not want any of your personal data to go along with it. There you have it! You surely managed to reset Android on your Alcatel 960c, with my simple explanation.